Every year the Land Rover releases enhancements to the different models. In March of this year, the company has announced what is new to the vehicles of 2018 and 2019 model years. 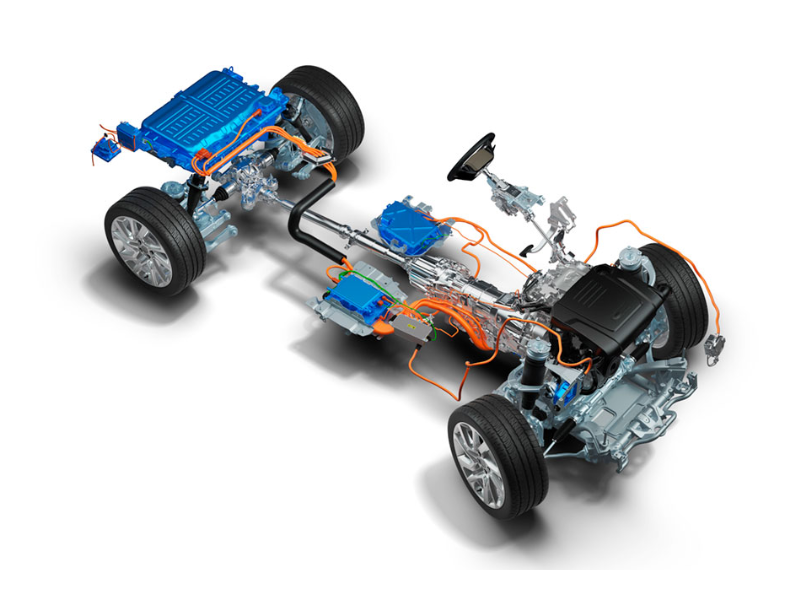 The brand-new and exciting update, of course, is thePlug-In Hybrid (PHEV) P400e powertrains system, that we will tell about. The all-new model that has just been released this year has the fully new shape. In the previous article we have already written ote that the Range Rover Velar has been given the World Car Design 2018 Award. Aside from the sophisticated appearance, Velar has an innovative technological completion - InControl Touch Pro Duo system, interactive driver display and rear seats entertainment screens. The vehicle is available with 8 types of Ingenium turbocharged petrol and diesel powerplants. In terms of dimensions, the new generation Evoque will be almost identical to the predecessor, but its wheelbase will be increased and the tracks will become wider in order to get more space in the cabin. The motors range will include the gasoline and diesel 2-liter turbocharged engines. The basic completion will go with the front-wheel drive and the all-wheel drive option available on more costly models. The next generation Range Rover Evoque is being presented in October this year at the Paris Motor Show. The sales of the SUV will start in the beginning of 2019. For both Range Rover and Range Rover Sport 2019 MY the Wade Sensing system is a new feature. The system calculates the depth of the water, which is especially useful for the off-road driving. The advanced driver assistance system (ADAS) has been complemented by the new features such as Active Cruise Control with Steering Assist. Only for the Range Rover, the Sliding Panoramic Roof will be available in all modifications. Of course, the real novelty for 2019 models is the P400e Plug-in Hybrid (PHEV) system, which combines electric and gasoline engines. The 2.0 liter 300PS Si4 Ingenium petrol engine goes along with the high capacity 85kW electric motor. Thanks to this, the driver can choose between Electric Vehicle and Parallel Hybrid Mode, which is the combination of petrol and electric drive. The vehicle has a high performance – acceleration of 6.8 seconds and the horsepower of 404 ps. It can go up to 31 miles (51 kilometer) in an electric vehicle mode without CO2 emission. The company says it takes around 7-8 hours to charge the vehicle depending on power supply facilities. The PHEV vehicle models will be available in the beginning of 2019 starting from $146,000 as for the Range Rover Sport HSE. The Discovery Sport Landmark Edition has been released as an addition to the Discovery Sport models family. At the same time, the Discovery will get new exterior personalization options such as contrast roof and the Dynamic Pack. The Wade Sensing system will be only available for the Discovery HSE and HSE Luxury. Read more about Land Rover vehicles in our blog.